Baseball’s WAR metric tells us how much each player contributes to wins. Does a hockey version exist? Two researchers are determined to find out. The most important thing to know about a player is how valuable he is to his team. In hockey, that’s a difficult question to answer and one usually met with fierce debate. War-on-ice.com founders and academic hockey researchers Andrew Thomas and Sam Ventura, the latter of whom was recently hired by the Pittsburgh Penguins, hope to make things a bit clearer. It starts with part of the website’s name: WAR. If you’re familiar with baseball stats, you’ll recognize the acronym WAR – wins above replacement. It determines how many wins a team gets from a player compared to one who’s easily replaceable. Figuring that out means putting all the things that lead to wins on the same wavelength. Hockey is full of events that help or hurt a team and, for Thomas, figuring out the relative worth of each of those events is the most important aspect of creating a hockey version of WAR. “I always wince when I see people say faceoffs are worthless,” Thomas said. 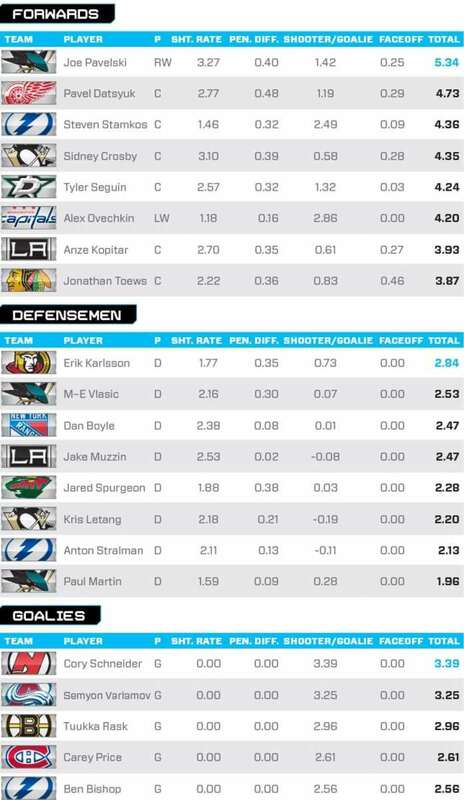 “They’re worth less than Corsi rates, but it’s really important to capture what that value is. It’s not that you’re putting everything into one number, but that you’re putting all the other numbers into a context where comparison is now easier.” Some argue hockey is too dynamic to quantify accurately, but Thomas doesn’t see it that way. “People are already taking measurements of everything,” Thomas said. “There’s always a way of breaking it down enough into the component bits that, over time, we’re going to get closer and closer to that full combined process.” Those components are shot rates, shooting/goaltending talent, penalty differential and faceoffs, each separating offense and defense. There’s obviously more to hockey, but the measure is limited by the data available. Thomas will be the first to say the current form of WAR is an incomplete description. Two important skills they haven’t been able to work out are playmaking and defending. The biggest reason for that is the difficulty of separating players. Playmakers create a larger share of scoring chances, but there are four other skaters contributing, so it’s difficult to determine the driving force. Same goes for defending, in which it’s hard to separate a defenseman from his partner and difficult to quantify the effects of playing big minutes. Because of that, players known to excel in those traits, like Sidney Crosby and Drew Doughty, will have a lower WAR than you might expect. For both skills, the problem comes back to a lack of data. Some dedicated hockey fans and bloggers aim to fill in those blanks. Among them is the Passing Project, a group of fans – led by Ryan Stimson, an SB Nation blogger for the Devils – who are tracking passes. “Understanding how much a player actually contributes versus what they’re on the ice for is a massive gap right now in player evaluation,” Stimson said. “Players may be impacting possession in other ways, but the more we can quantify their actual contributions, the better we can separate the possession drivers and passengers.” That’s led to “Corsi contribution,” which is essentially every individual shot attempt plus all shot attempts a player “assisted” on. Compare that to the total shot attempts a player was on the ice for and it’s immediately apparent how vital he was to a team’s offense. Tracking passes has also led to advances in tracking shot quality, specifically how shots preceded by passes are more likely to go in than non pass shots, with multiple passes being especially potent. The same is true for zone entries and exits, according to Corey Sznajder, who spent the past two years tracking such events for the 2013-14 season. “Winning the neutral zone has a big impact on a team’s shot differential,” he said. “A player entering the zone or carrying the puck in more often than not might be the catalyst on his line as opposed to a player who doesn’t play a big role on entries.” Ditto for the blueliners who stop them, doing their teams a huge service that goes unnoticed. Richer data from player tracking will better reflect how much a player contributes to the existing and new criteria that go into WAR, creating a much clearer picture of a player’s total value. Whether fans accept that is a very different story. That’s why it’s important to have everything in context and understand the strengths and weaknesses of any stat. “People are always going to make conclusions based on whatever number they like,” Thomas said. “No debate will ever be ended by a new number.” And so, the war continues. 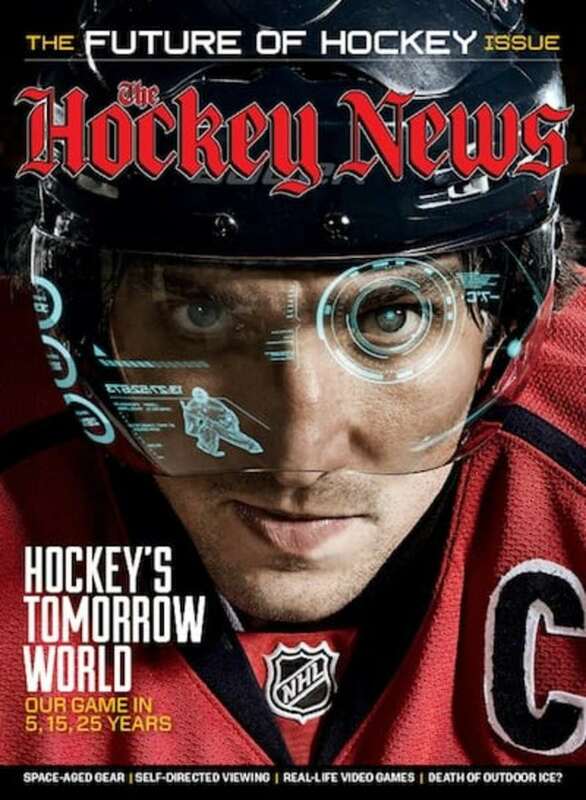 This is an edited version of a feature that appeared in the September 14 edition of The Hockey News magazine. Get in-depth features like this one, and much more, by subscribing now.